Alien blobs from space are invading the Earth. It’s up to the Alien Counter Offensive Response Network (ACORN) to stop them from enacting their evil plans. 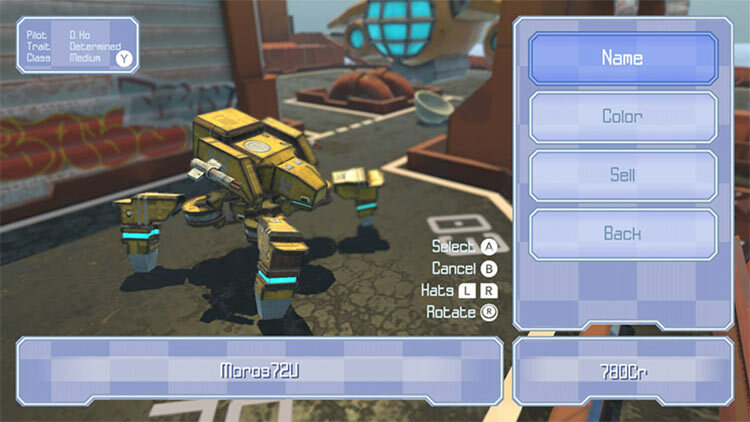 Construct and customize a strike team of giant walking tanks and air drop them into combat. 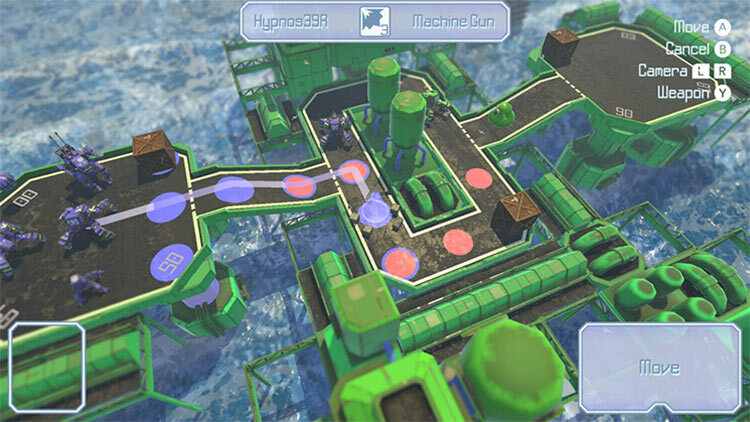 Customise, upgrade and train to save the planet from King Blob in a giant 25 mission hand-crafted story campaign. 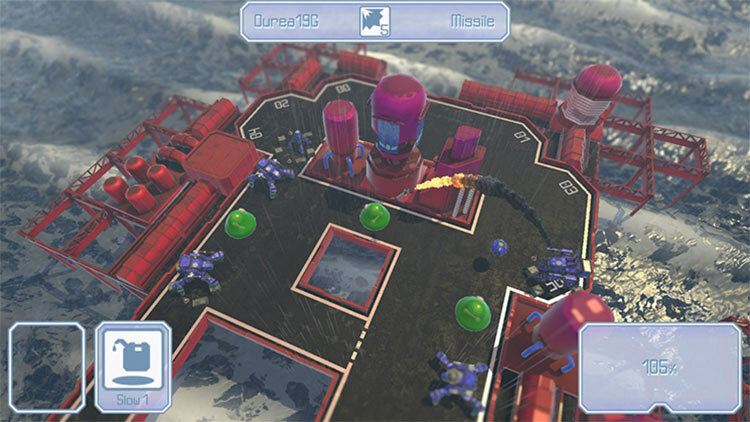 Then take your custom battle team into the random mission generator and visit procedurally generated bases and challenge yourself to endless battles. Collect and upgrade a deck of battle-cards to take with you into combat. Use their special effects to turn the tide of war against your foes. 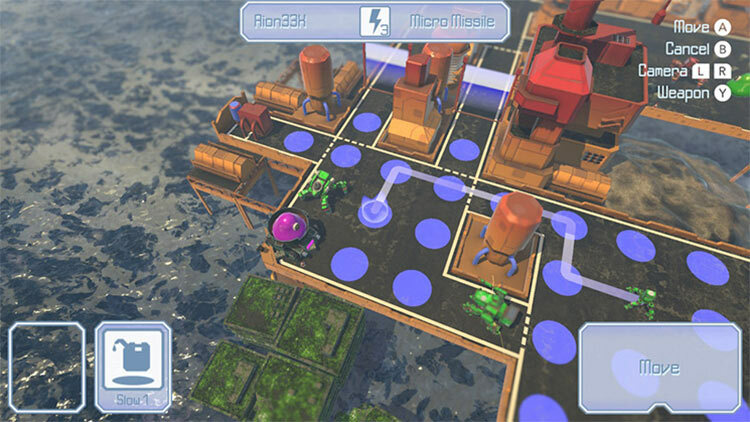 Can you defend the planet from invasion? ACORN Tactics has its heart in the right place, but it plays it very safe. It’s a very solid strategy RPG, taking elements of games such as Fire Emblem and Advance Wars and wrapping it in its own aesthetic. However, for as liberally as it borrows from its inspirations, it never goes above and beyond and does anything that might be construed as unique. 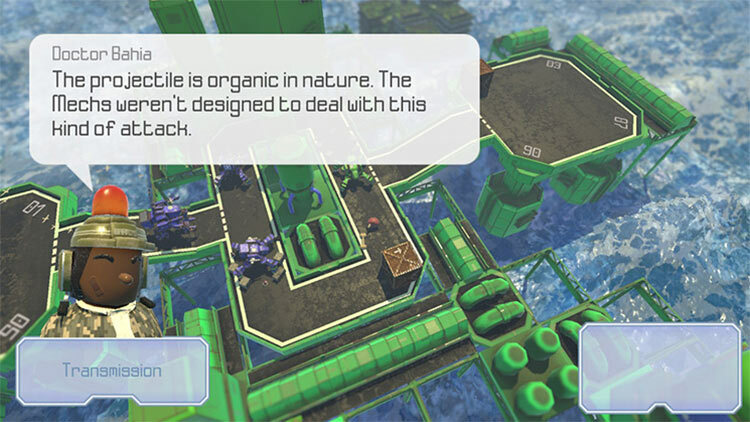 Overall, ACORN Tactics was not enough to scratch any sort of itch – tactical or otherwise – and it was more of a frustrating exercise in futility than an enjoyable experience. If you’re a tactics or strategy fan, I would urge you to pick up Mario + Rabbids instead for a more polished and enjoyable X-COM like experience. At only $12 though it may be worth it if you’ve already got your fill of the wanna-be minions or are otherwise at a loss for what to play. Unfortunately, with a lack of deep gameplay, poor design, slow combat, and no multiplayer options whatsoever I think ACORN Tactics should go back to the drawing board. 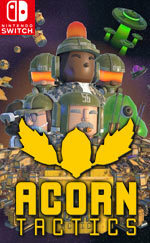 Had ACORN come out prior to Ubisoft’s release, I think it would have been a nice preview to the tactical RPG genre on Switch, but trying to play it now just reminds me of how good Kingdom Battle was and that you would be better suited to investing your money into a big budget game that will provide better gameplay and much more replayability. O estilo dos modelos 3D deixa um pouco a desejar. Os veículos em si têm um desenho interessante mas os humanos não encaixam muito e com os alienígenas passa-se a mesma coisa. As inconsistências no estilo, juntamente com a falta de sistemas mais polidos, fazem com que ACORN Tactics seja apenas mais um jogo no mar de indies que eventualmente caem no esquecimento.